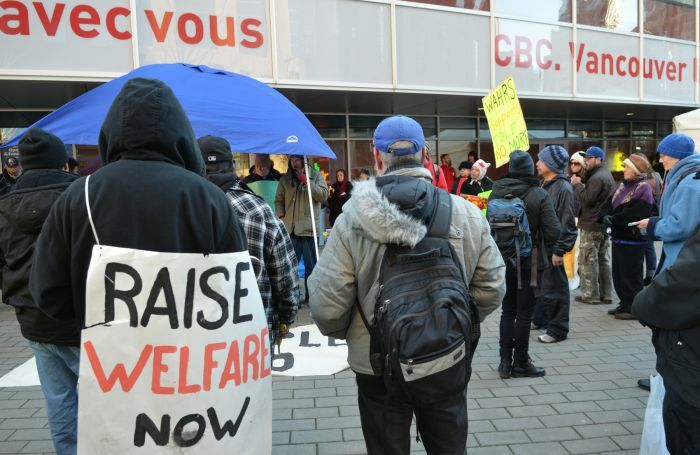 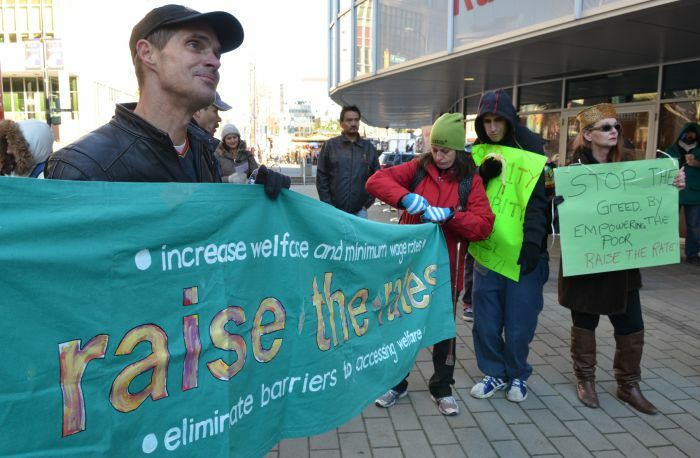 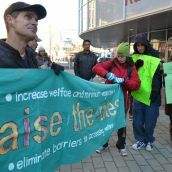 COAST SALISH TERRITORY - The Raise the Rates Coalition paid a visit to CBC's annual Food Bank Day in downtown Vancouver Friday. 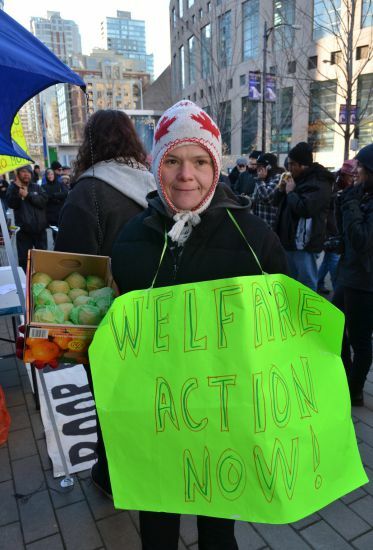 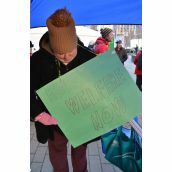 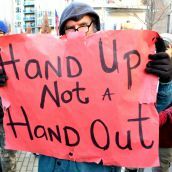 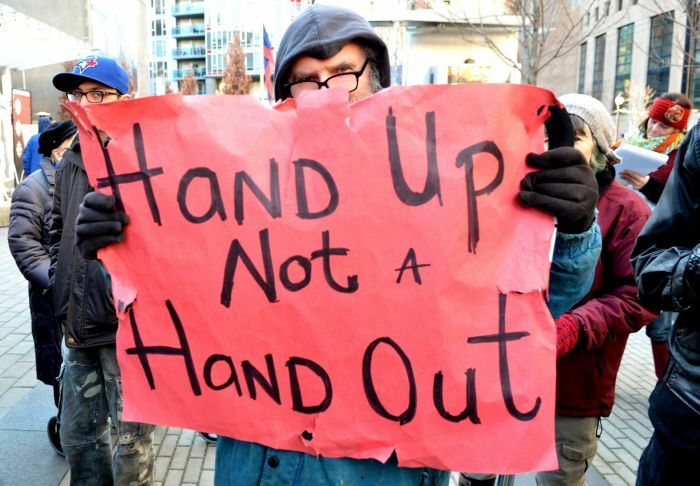 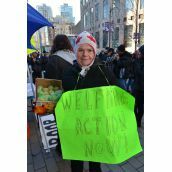 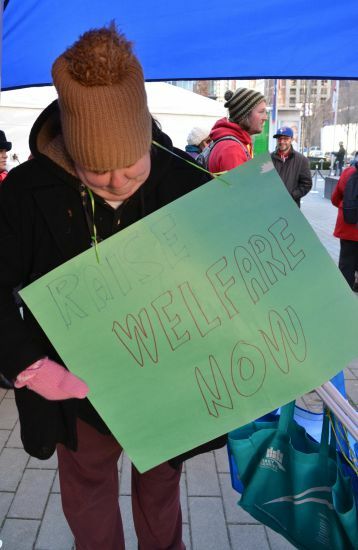 The Coalition called for justice not charity, "meaning raise the welfare rates so people can buy their own food instead of being dependent on food banks, which is no solution to hunger and food insecurity." 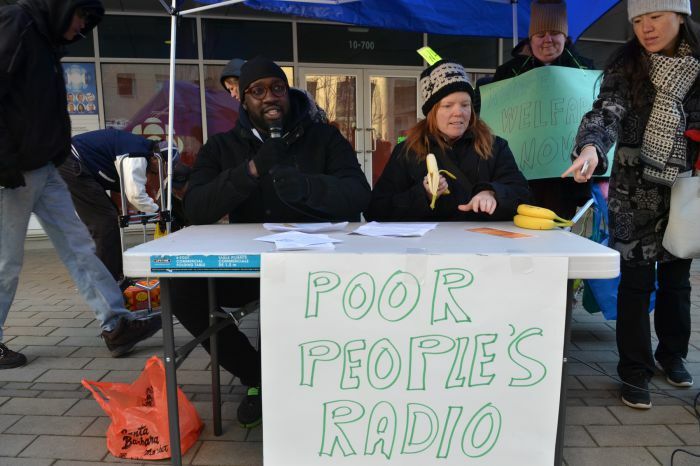 After marching to the event from Main and Hastings in the Downtown Eastside, they set up a "poor peoples' radio" show in front of the CBC building. 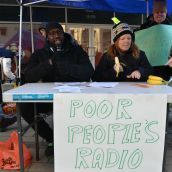 They called on the national public broadcaster "to place its support of charitable giving within a wider human rights and public policy framework."